Throughout the years, I have emerged as a leader. I have held leadership positions in the Math Competition Club, Concert Band, and in group projects. I have always been willing to speak up and provide feedback when appropriate. My feedback has been beneficial for myself and many others. Since my ability and willingness to speak up has become apparent to my peers, I am frequently asked to talk with our teachers in hopes of improving our classes and learning experiences. I enjoy representing people and voicing opinions. In addition, I always uphold the core values and try to be a good role model for others. 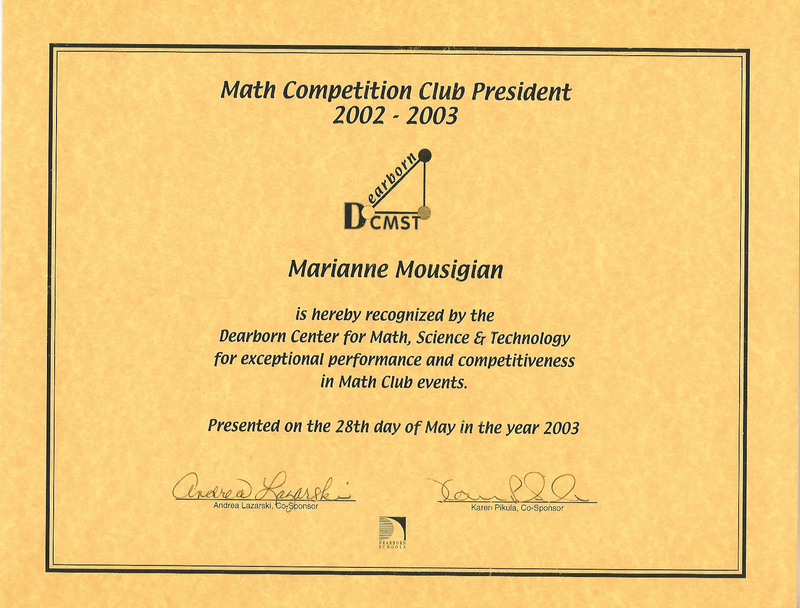 As a sophomore, I gained the support and trust necessary to hold the position of president in the Math Competition Club (MCC). I took charge to get many things done for our club and assisted with the planning. I helped run club meetings, kept track of the members' attendance, checked out dates for meetings and activities, and made flyers for our events. I also always provided my suggestions and ideas to the MCC. This position helped me to gain confidence and responsibility. 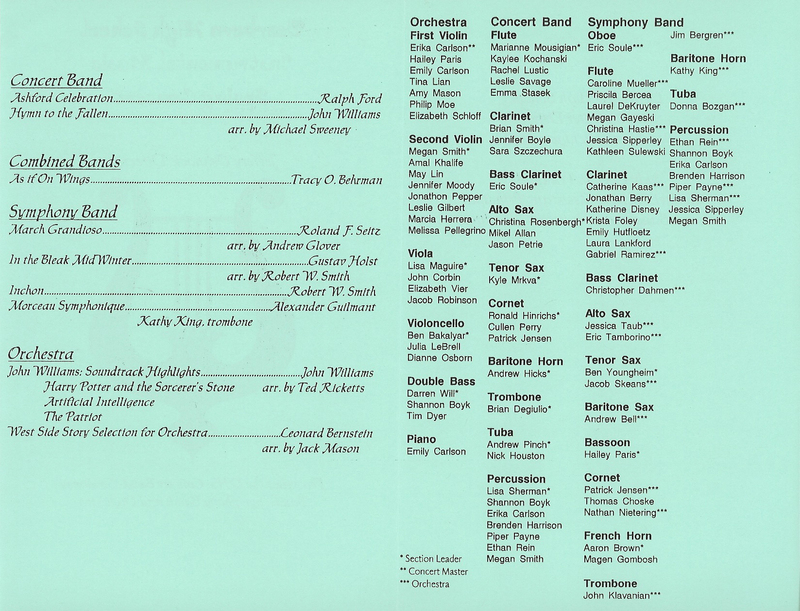 During my freshman year, I was the flute section leader of the Concert Band. This leadership position allowed me to help the other members of my section and to establish a sense of unity among all of the flutists. After completing many group projects, I've learned how to be an effective leader. I have taken change in group situations to help the projects get done more smoothly. I know that it is important to listen to everybody's ideas and to make sure that all group members contribute. In addition, I've learned to distribute work in group projects without being bossy. I acted as a group leader to complete the project below. I helped to organize all of our ideas and devise a schedule for the group to work by. In addition, I knew the strengths and weaknesses of the group members and tried to distribute the different jobs accordingly. Our group strived for excellence and definitely went beyond what was expected. We all worked very cooperatively together and were very proud of the work we completed.